Huawei Y7 (2019) has surfaced online just days before we’re stepping into the new year. The new smartphone, which is likely to be the successor to the Huawei Y7 2018 that debuted back in March, is said to feature a 6.2-inch HD+ display and come with a Snapdragon 450 SoC. The leaked specifications of the Huawei Y7 (2019) also suggest a 4,000mAh battery without any fast charge support. There are also some purported renders that hint at a waterdrop-style display notch. Huawei is said to offer a notification LED light between the display and frame of the Y7 (2018). The smartphone is also said come in two different variants with 3GB and 4GB RAM options. Tipster Roland Quandt has leaked the specifications and renders of the Huawei Y7 (2019) on WinFuture.de. The tipster claims that the new Huawei smartphone will come to Europe in 3GB RAM/ 32GB storage configuration with a price tag of around EUR 150 (roughly Rs. 12,000). However, it is speculated that the Y7 (2019) could also get a Prime or Pro version with 4GB RAM/ 64GB storage option. Apart from specifying the variants, Quandt mentions that the Huawei Y7 (2019) will sport a 6.26-inch HD+ (720×1520 pixels) display along with a waterdrop-style display notch design and a 19.5:9 aspect ratio. Under the hood, the smartphone is said to have a 1.8GHz octa-core Snapdragon 450 SoC, coupled with 3GB/ 4GB RAM. The Huawei Y7 (2019) is also reported to come with a microSD card slot to expand the built-in storage. On the part of optics, the Huawei Y7 (2019) is said to have a dual rear camera setup consisting a 13-megapixel primary sensor along with an f/1.8 aperture and a 2-megapixel depth sensor. The camera is likely to support artificial intelligence (AI) backed features such as scene detection. Further, there is an LED flash. 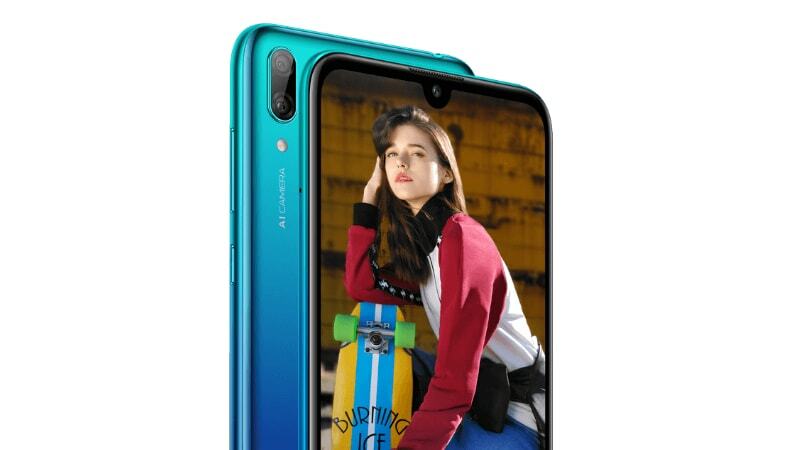 The Huawei Y9 (2019) is also rumoured to carry a notification LED light between its display and frame, similar to how the notification LED light featured on the Huawei P Smart (2019). Moreover, the Y9 (2019) is said to have a 4,000mAh battery that will receive the power through an available Micro-USB port. As the battery of the Huawei Y9 (2019) isn’t likely to have fast charging support, the smartphone could take up to four hours to fully charge the battery. However, once charged, it is likely to deliver up to two days of battery life. To recall, Huawei launched the original Y7 back in May last year, while it upgraded the model with the Y7 (2018) earlier this year. The company also launched the Huawei Y7 Prime (2018) in March that had a 5.99-inch FullView display and ran Android Oreo.